Make sure to look over a listing of existing clubs at TitanAtlas or contact the Director of Student Life. We will be able to tell you if a similar club currently exists or has existed. Doing this may help you get old paperwork, contacts for advisors, or information on whether the club had anything beneficial that would be helpful with restarting such a club. BEGIN recruiting! Start talking to students and potential campus advisors about the new student organization. The Office of Student Life can help by posting items on the Daily Titan. Also, you may want to consider posting flyers on the bulletin boards around campus (posting policy). Your club will be required to have a full time faculty/staff advisor; so make sure to recruit more than just students. DEFINE your purpose! An important part of starting a club is defining the purpose of that club. Sometimes defining your club with a narrow scope will help people with that specific interest find your club. Other times a more broad scope will help attract a wider range of students (or faculty/staff) to your potential club. Begin by talking with your initial group of your organization/club about the purpose of your club, and more importantly what you plan to accomplish as a club. When you are ready, create your own constitution for your club. Click here for a sample consitution to help your club get started! MAKE your club official! To accomplish this you must register online through TitanAtlas. Make sure to have a list of your club members school email addresses, your faculty/staff advisor's email address, and a copy of your constitution. this way your club can enjoy the benefits of being a student organization, such as having a bursar account, reserving rooms on campus, and access to other university privileges. NOW your club is OFFICIAL! 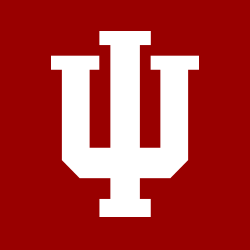 It is now time to attend a training session sponsored by the Office of Student Life; that way you can get trained on all the important policies and processes your club needs to follow to continue to enjoy all of the benefits of being a registered club here at IU South Bend. Important reminder, clubs MUST register once every academic year, and you are allowed to change your constitution whenever it’s needed to reflect the changes within your club. Any questions just contact our office, we are here to help!